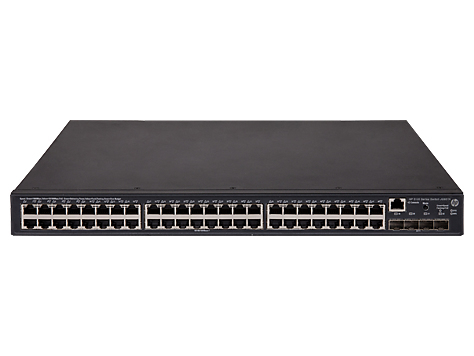 The HP 5130 EI Switch Series delivers flexibility, scalability and low TCO at the access layer of medium and large enterprise campus networks. Offering enterprise class QoS and security, HP Intelligent Resilient Framework (IRF) stacking, static layer 3 routing and RIP, convenient fixed 10GbE uplink ports, PoE+, ACLs, IPv6 and delivers energy savings with Energy Efficient Ethernet. The HP 5130 EI Switch Series is SDN ready with OpenFlow 1.3 support, can be managed with HP Intelligent Management Center (IMC) for a single view of your entire network, and includes Lifetime Warranty 2.0. 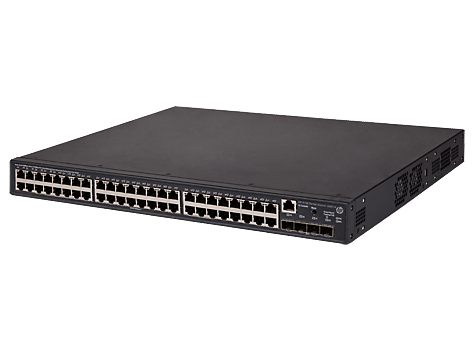 • The HP 5130 EI Switch Series delivers flexibility, scalability and low TCO at the access layer of medium- and large-enterprise campus networks. 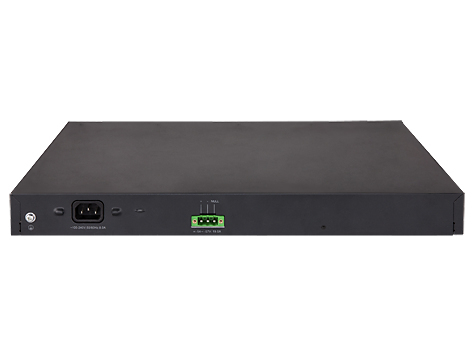 The 5130 supports stacking, fixed 10GbE ports, static layer 3 routing and RIP v1/v2, PoE+, ACLs, IPv6 and power savings with Energy Efficient Ethernet. 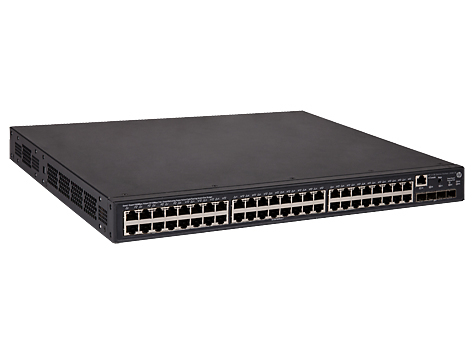 • The HP 5130 EI Switch Series supports advanced classifier-based QoS which groups traffic using multiple match criteria based on Layer 2 and 3 information; applies QoS policies such as setting priority level and rate limit to selected traffic on a port, VLAN, or whole switch. • The HP 5130 EI Switch Series supports flexible authentication methods including 802.1X and MAC Authentication for greater security and policy-driven application authentication. Per-user access control lists (ACLs) provide identity-driven security and access control. • The HP 5130 EI Switch Series can be seamlessly managed with HP Intelligent Management Center (IMC) to provide end-to-end network transparency with consistent network experience through comprehensive configuration, compliance and policy management.